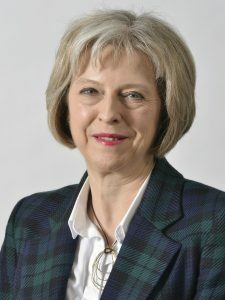 UK Prime Minister Theresa May on Monday announced plans for new measures to ‘transform the way we deal with mental health problems right across society, and at every stage of life’. It came on the same day as the government published its response to the Five Year Forward view for mental health, while Jeremy Hunt also detailed plans for new suicide prevention measures and announced plans to better support people at risk of self harm. “For too long mental illness has been something of a hidden injustice in our country, shrouded in a completely unacceptable stigma and dangerously disregarded as a secondary issue to physical health. Yet left unaddressed, it destroys lives, it separates people from each other and deepens the divisions within our society. Changing this goes right to the heart of our humanity; to the heart of the kind of country we are, the values we share, the attitudes we hold and our determination to come together and support each other. – New support for schools, with every secondary school in the country set to be offered mental health first aid training. – Strengthening ties between schools and local NHS staff. – Extensive review of children and adolescent mental health services across the country, led by the CQC, to identify strengths and weaknesses in approach. – New green paper on children and young people’s mental health to set out plans to transform services in schools, universities and for families. – New partnership with businesses to advance mental health support in the workplace. – Lord Dennis Stevenson has been appointed alongside mental health charity Mind’s Paul Farmer to work with business and the public sector to improve mental health in the workplace. The pair will lead a review on how best to support employees with mental health issues in the workplace. They’ll also review recommendations around discrimination in the workplace relating to mental health. – More options in the community – in addition to hospitals – to support people with mental health illnesses. The government will be investing £15m for new types of community-based care such as crisis cafes and community clinics. – Expanding treatment by investing in and increasing digital mental health, with a budget of £67.7m to be spent on digital mental health package so that people worried about stress, anxiety or more serious issues can go online, check their symptoms and access digital therapy.